MINI-M4 for MSP432 is a small ARM Cortex™-M4 development board containing MSP432P401RIRGC microcontroller. This compact and powerful development board is designed to work as a standalone device or as an MCU card in DIP40 socket. MINI-M4 for MSP432 operates on a 3.3V power supply. 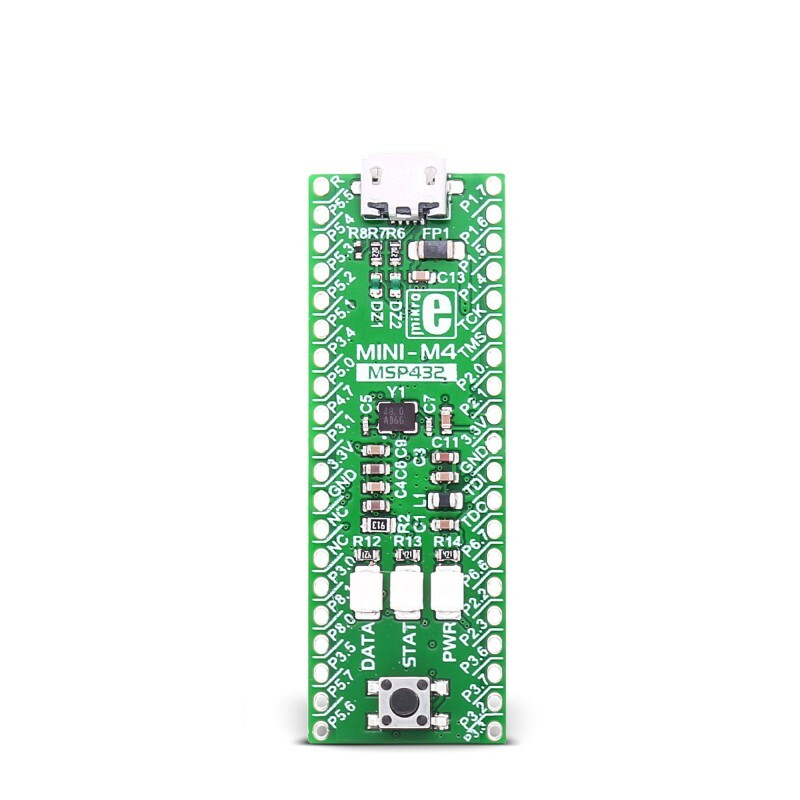 The onboard voltage regulator allows the board to be powered directly from USB cable. 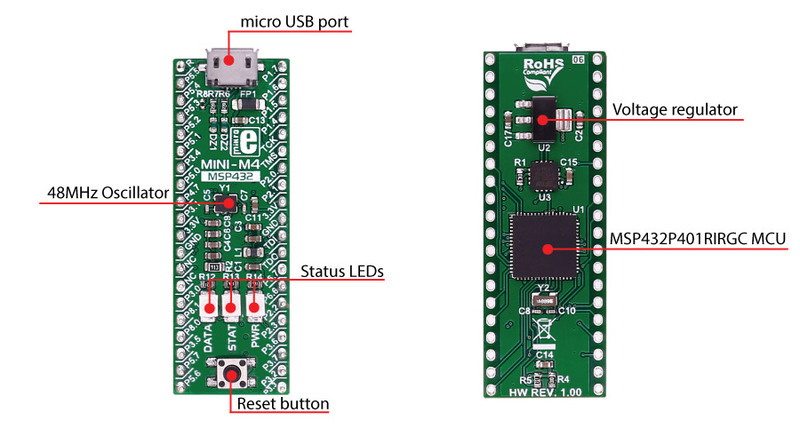 MINI-M4 for MSP432 is pre-programmed with USB UART Bootloader so it is not necessary to have an external programmer. The SimpleLink MSP432P401x microcontrollers are optimized wireless host MCUs with an integrated 14-bit analog-to-digital converter (ADC) capable of up to 16 ENOB delivering ultra-low-power performance including 80 µA/MHz in active power and 660 nA in standby power with FPU and DSP extensions. The board is equipped with a 48MHz crystal oscillator and 32.768kHz crystal which can be used for internal RTCC module.